Executive branding matters. Why? Because failure to brand yourself in today’s digital world means you could be missing out on opportunities. For an executive not actively career seeking and happy in their current role (and I love hearing this in my role at GatedTalent, I really do!) executive opportunities are scarce, so failure to brand yourself professionally could mean you miss a once in a lifetime opportunity. What does ‘branding’ mean in this context? We are not talking about fonts, or color schemes. 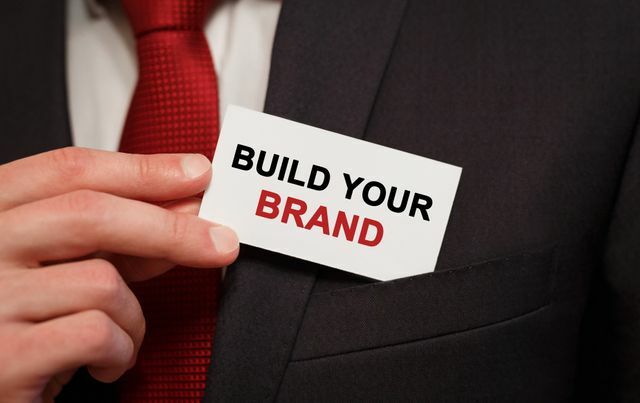 Executive Branding is positioning yourself as an expert in whatever you're an expert at. Leadership in SaaS based, Private Equity funded businesses. Market entry in China. Turnaround situations and strategies. It’s ensuring that when a recruiter looks at your profile, they know what you are all about. LinkedIn has nearly reached its 1 billion members. As a user of LinkedIn Recruiter, I know it is important that executives both stand out and illustrate their value proposition to executive recruiters. Simple steps can be taken to rapidly enhance your visibility which do not involve technical approaches. Things such as fully completing your profile to gain the LinkedIn ‘All Star’ badge means you increase your visibility by over 20 times, and some research suggests 40 times! In addition, be sure to have a 70/30 mix in terms of achievements & what your role and responsibilities are. I read many profiles from senior executives conveying they have P&L responsibilities, business transformation skills and thought leadership – the problem is, there are not many that tell me within their profiles what makes them unique – and what qualifies them for these skills. By sharing some achievements, you showcase success to your target audience, and this is key in demonstrating your brand value. This article highlights 5 efficient strategies on how you can increase your visibility on LinkedIn. And for those that want to learn more please join me for my LinkedIn webinars, I am currently running two different sessions for GatedTalent members on how executives can leverage LinkedIn to become more visible with executive recruiters. With LinkedIn memberships rapidly approaching a billion people, standing out can be hard. Yet your success depends on it. If your profile is similar to the profiles of those who do what you do, it will be hard to get people excited about you. But when your profile is the green palm tree in a sea of blue waves, people pay attention.